UPDATE 9th August 21:00 UTC: An earlier version of this article indicated that Bitstamp, not Bitfinex, had withdrawn services from New York. Kraken and Bitfinex, two of the largest bitcoin exchanges by investment funding and daily trading volume, have indicated they will not be applying for licenses to operate in New York. 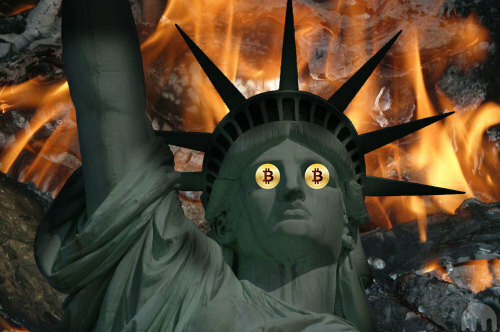 The development is the latest in the ongoing debate over the BitLicense, New York’s state-specific regulation for bitcoin businesses, which continues to be a lightning rod for criticism from both within the bitcoin community and more widely among mainstream technology advocacy groups. State regulators had previously set 8th August as the submission deadline for business already serving consumers in the third-largest US state by population. So far, more well-capitalized exchanges including Bitstamp have applied for a BitLicense. Smaller businesses including merchant processor GoCoin and altcoin exchange Poloniex, however, recently revelead they would not continue efforts to reach customers in the state. 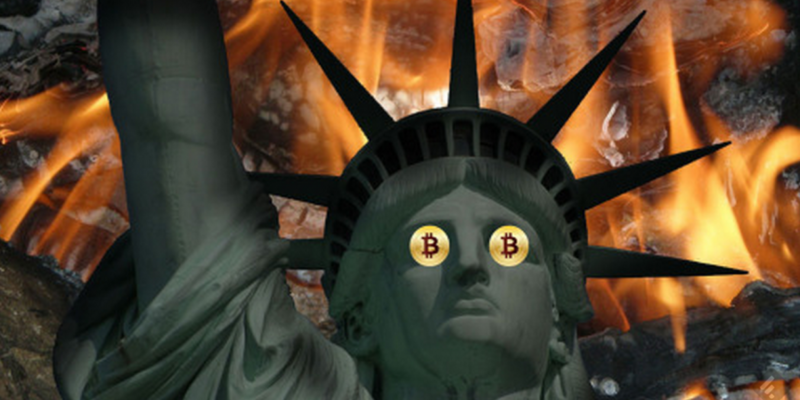 Based in San Francisco, Kraken and its executives have long had a contentious relationship with US regulators, withdrawing services from the domestic market in early 2014 and stopping all US dollar services until October. US dollar trading is still not available for US residents. In statements to CoinDesk, Powell suggested the move was likely to affect the “several thousand” clients of the exchange. Despite the sometimes political rhetoric, however, Powell implied there were also strong business motivations behind the action. Hong Kong-based exchange Bitfinex was more straightforward with its announcement, quoting from the BitLicense before indicating it would be ceasing services in the state as of the 8th August deadline. Both exchanges indicated they would continue to monitor the regulatory situation in New York with the goal of re-opening services. In its blog post on the subject, Kraken used exaggerated language to impart its stance on the law, characterizing it as a “foul” and “cruel” beast that was more formidable than the mythological creature whose name the exchange has adopted. The informal introduction aside, Kraken suggested it did not apply as the BitLicense does not guarantee bitcoin companies the ability to obtain banking services, offer protection from unlicensed competitors or come with an exemption from traditional money service business (MSB) licensing. To operate in New York, exchanges must either receive a New York banking charter or be more broadly registered in the country as an MSB. Notably, the company characterized New York as a market too small to justify the expense of the licensing process. Applications for the BitLicense cost $5,000, a figure that doesn’t include additional charges for document preparation and personnel allocation. In light of the cost, Powell implied Kraken simply saw moving its focus on customer growth abroad as a better way to allocate its spending. “We’ll spend our money on blue oceans and green pastures and maybe get back to New York when sanity has emerged and we’ve got a bigger bankroll,” Powell remarked. Bitfinex indicated it would modify its terms of services as a result of the decision, stating that customers would need to withdraw funds by 21:00 BST on 15th August. The exchange also detailed how its process will be modified to reduce its liability for unlawful deposits from New York residents. Those with funds in the exchange, it said, will have any cryptocurrency converted to US dollars after the 15th August deadline. “The resulting USD balance will be available in customer accounts for customers to access at any time,” the post said. New York residents will be unable to use any of the exchanges services, including its fiat and digital currency trading services. Bitfinex did not immediately reply to requests for comment.